You can check out our final release web video taken from the bonus section of our ‘A Month In The Life Of’ DVD here. This one features Liam Fahy-Hampton, Mick Bayzand, Matt King & Kenny Raggett. Enjoy. A huge shout-out goes to Cooper from Focalpoint for the clips of both Liam & Mick. Thanks Coops, you rule !! Lifetime Warranty on our frames. Finally… after many many months (almost seems like years now) of waiting our range of 2008 frames are almost ready to ship out soon. The Sect, MVP & Bloody Oath frames are all getting heat treated right now & then soon will be painted ready to ship out. For all those we have been waiting patiently it will soon be over. Thanks for everyones support & understanding on these delays. The big news on our 2008 range of frames is our revised warranty. We will now offer a LIFETIME WARRANTY against breakage to the original purchaser. This means if you snap or crack your frame & you’re the original purchaser, you will receive a new frame, no questions asked. 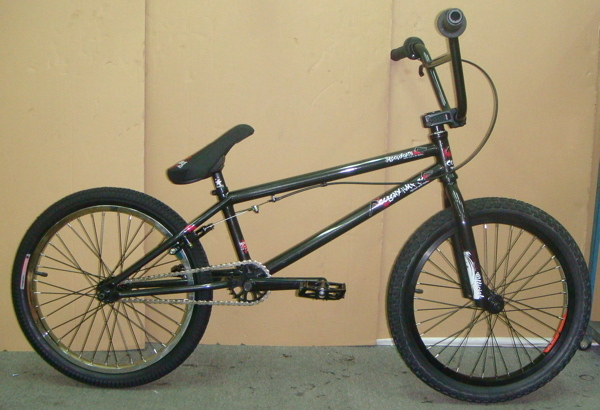 We wont however warrant your frame if you bend or twist it as any frame will bend eventually after years of hard riding. I will update the warranty section of the website here with full details of our LIFETIME WARRANTY soon. Check out the products page for full details on these frames including weights etc. 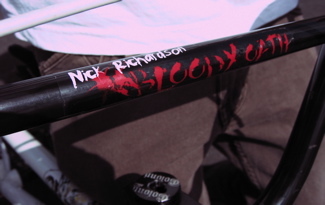 The 2008 Bloody Oath frame. 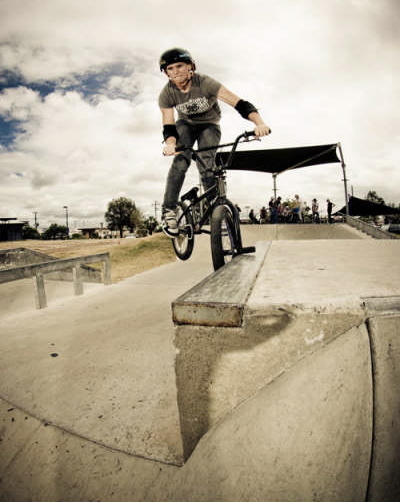 I would like to formally welcome Oleg ‘Bibu’ Alexandrov from Russia to the flow team. Bibu, as he is known as over there, is a 23 year old street killer who has been riding for 6 years. I am sure we will be seeing more of Bibu in the near future & maybe even a Colony trip over in Russia might be on the cards? Only time will tell. Bibu also runs his own website at called InsideBMX. Check it out here if you can read Russian that is. Welcome to the team Bibu !! Product highlight – Endeavor complete bikes. Our Endeavor complete bike has caused quite a stir out there in the complete bike world. It’s one of the better complete bikes for the money in it’s class. 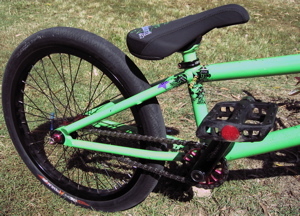 You get all the features of a pro level bike but at a fraction of the price. 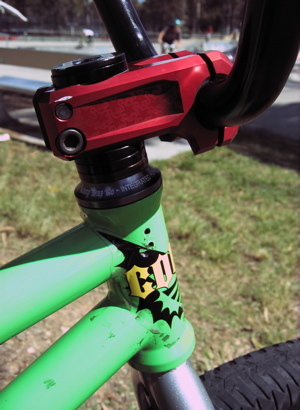 Features like a full crmo frame with integrated headset, Mid BB, built-in seat clamp as well as full crmo fork & bars. Sealed cassette with 10t driver, 48 spline crmo cranks, 28T sprocket, pivotal seat, Tech 77 lever with linear cable as well as Rhombus grips from our good friends at wethepeople. 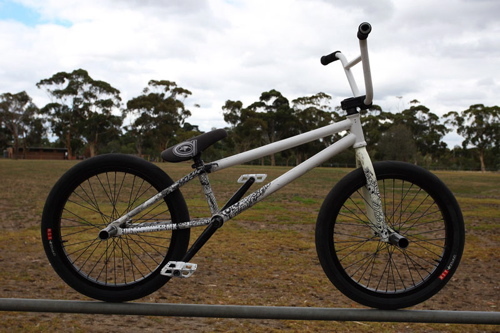 Add all this along with great graphics & colours & you have a pro level bike out of the box. See the products section for full details then go check one out at a dealer near you today, you wont be let down. Peta sent me some cool pics from her recent trip to Gladstone, QLD. While up there she rode heaps of cool parks & basically had a great time. She got to hang out with the all the cool locals up in the Gladstone area. It’s good to see the girls out there having fun with bmx just like the rest of us. Look out for a story in the next 2020BMX magazine as well. 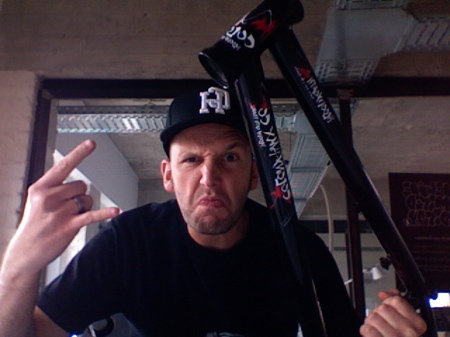 Finally… after way too long the Bloody Oath limited edition complete bikes are getting assembled this week. Check the spec listings for what this amazing bike has to offer. There are only 75 of these being produced so be quick. The following countries will have limited stocks of these unique bikes. Depending on where you live on the planet the bikes will arrive in these countries in the next few weeks. It’s been a while since I have posted news about new products but expect more & more in the coming months. Here we have the first sneak peaks of Liam Fahy-Hampton’s Hell Stallion forks to go along with his signature frame due out mid this year. 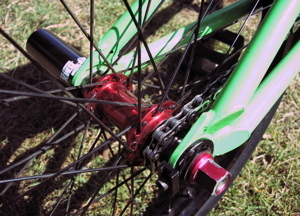 These forks feature full heat treated Colonized tubing with weight saving drop outs. 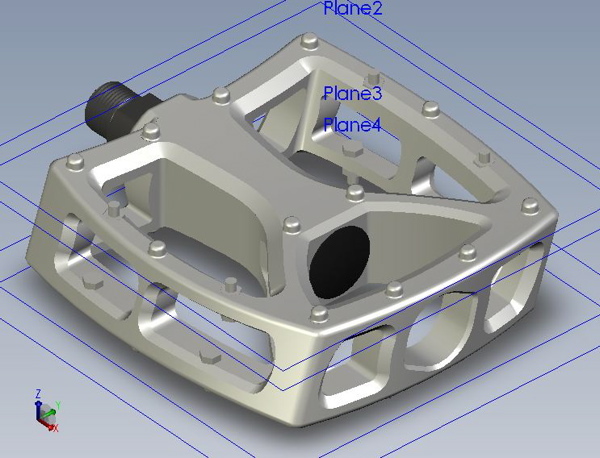 They are CNC’d from 6mm down to 5mm with an offset of 30mm. 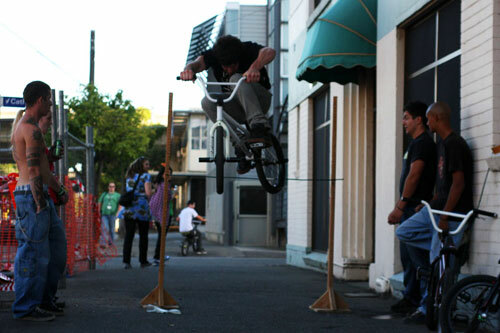 Making all those nose wheelie tricks that much easier. 10mm or 14mm drop outs will be on offer. 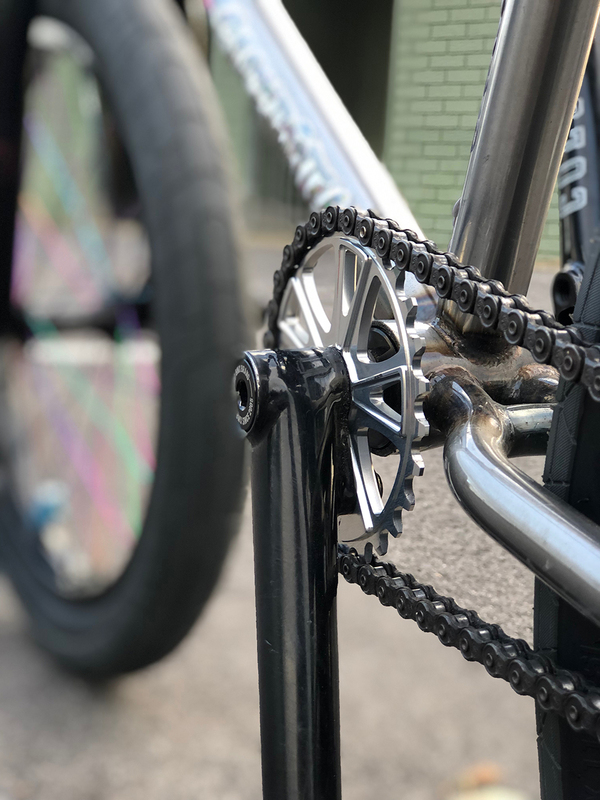 The fork legs are tapered from 31.8mm down to 25.4mm & use extra thick tubing for strength around the drop outs for all the peg tricks Liam likes to do. Weight of these ones are 895grams & they will come with our no questions asked LIFETIME warranty. Expect them out in kit form with the Hell Stallion frame, Official stem & one of our headsets in June this year. You will be able to get them seperately in August. 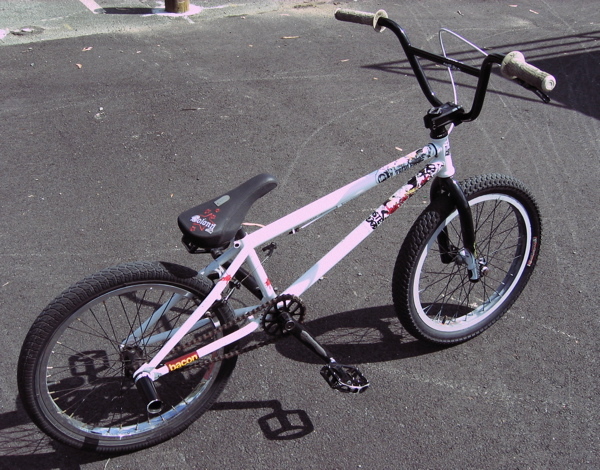 I caught up with Matt King today & thought it would be a good chance to get some pics of his current bike. Matt has been testing the Hell Stallion frame now for about 6 months or so. 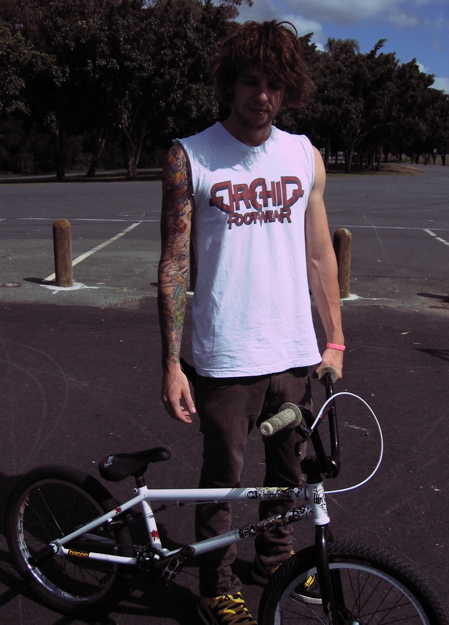 He says it’s the best frame he has ridden. Matt is also testing the Oneway CrMo pegs for us at the moment too. They will be out in August this year & weigh in at 150grams. Another new item Matt is testing for us is the Clone cassette with the ceramic bushing driver. These will be out June this year. What do you get when you mix constant rain, a bunch of Aussie tourists & a crazy driving schedule? A mad dash to make the next indoor park to have a ride & get some clips. This is the result of our US trip late last year that was featured in last months Ride magazine story. Get the magazine with Liam on the cover & check out the 12 page story. Or you can click here & check out the footage we gathered on this rain infested trip. In case you have missed them in the past I have made it easier for you to see our recent web videos that I have posted. Click on the links below or you can also click on the category named Videos in the panel on the right. I will be releasing more very soon so keep checking back every few days. 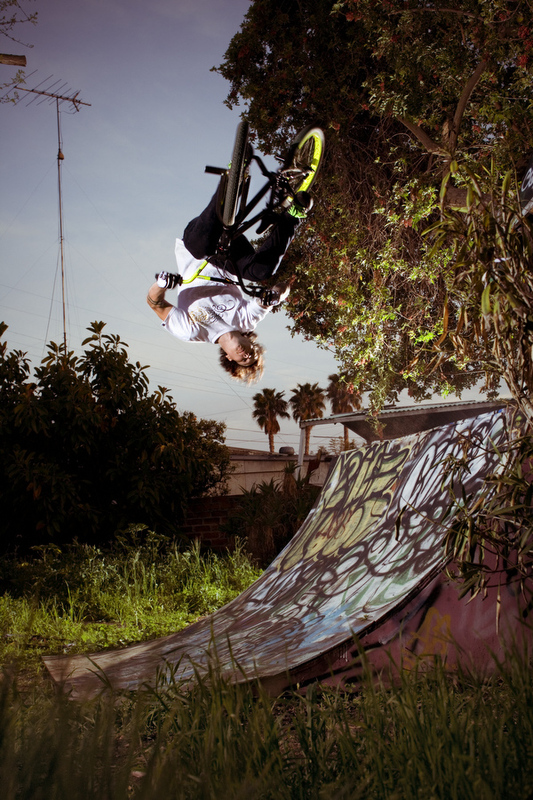 There is a cool interview with Shane Badman in the latest issue of the online magazine, Love BMX from the Czech Republic. Check it out here. 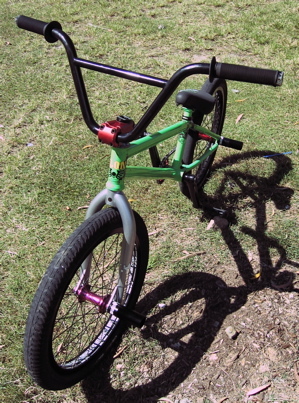 Guettler just sent me some cool pics of his new bike he has just built-up. Looks awesome. 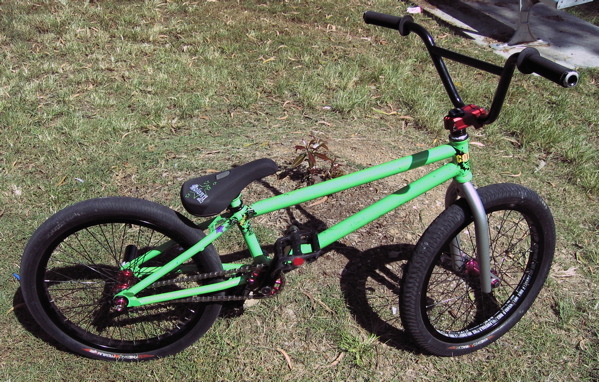 I caught up with Richo today down at Beenleigh to ride some of the new ramps (sorry, forgot to take pics of the ramps) But I managed to get a few pics of Richo’s current set up. 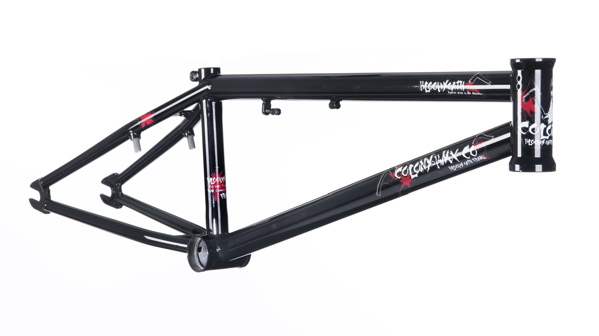 The Hell Stallion frame & forks will be available June/July this year before you ask us. 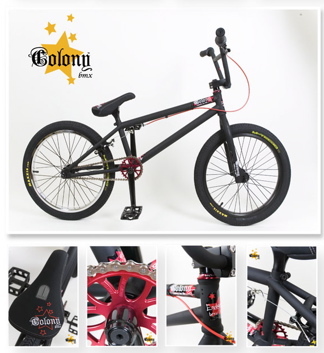 They will come as a special limited edition frame, fork, stem & headset kit. These will be a limited edition & we are only producing 100 kits for the entire world. So contact your local store & place your orders fast. 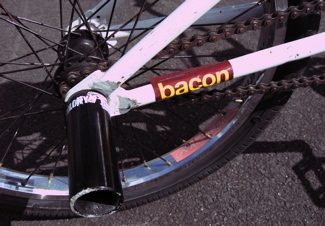 If you miss out on one of these don’t worry, they will be available August/September as the frame & fork seperately. Click here for our next web video taken from the bonus of our ‘A Month In The Life Of’ DVD. This one features myself, Toby Matthews & Ryan Guettler. Enjoy. Many thanks go out to Francois @ data for hooking it up. Click here to check out Dave & Andy killing it in practice in Toronto on the weekend just gone. First it was the Millar Lite (WethePeople)…then Phoenix……now, I’m back!!! Achim (from Fastpace Distro) gave it to me…. I love the stuff!! ….will send you some images soon!!! Good work my friend…Greetings Mike. 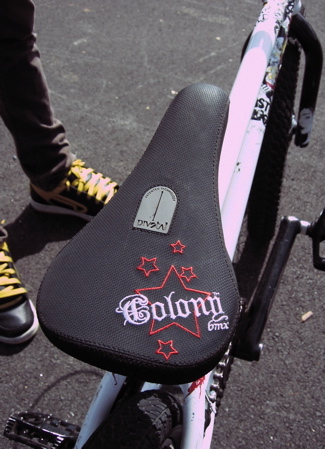 Thanks for the support for Colony Mike !! Be on the lookout for possible Carhartt/Colony joint projects in the near future. More on that later. 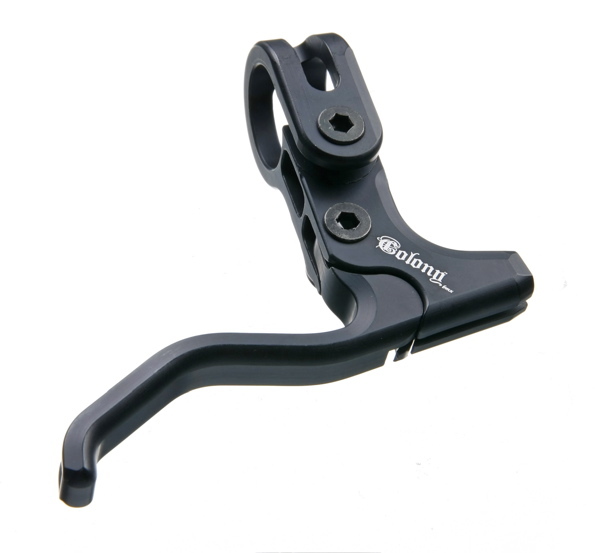 We were first to take the humble brake lever as we all know them to new heights when we introduced precision CNC machined quality with our Transformer Levers. We were also the first to introduce the lack of a need for the useless barrel adjuster. Our levers are half the weight of any other lever on the market today. Sure, they are more expensive but like anything these days, you get what you pay for. 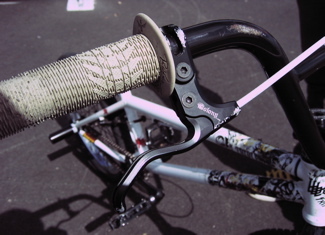 Expect to see other levers on the market soon that are inspired by our pioneering work. Always insist on the original though… the Colony Transformer Lever, available in normal & Trigger versions in a variety of colours. Transformer Normal version in Black. 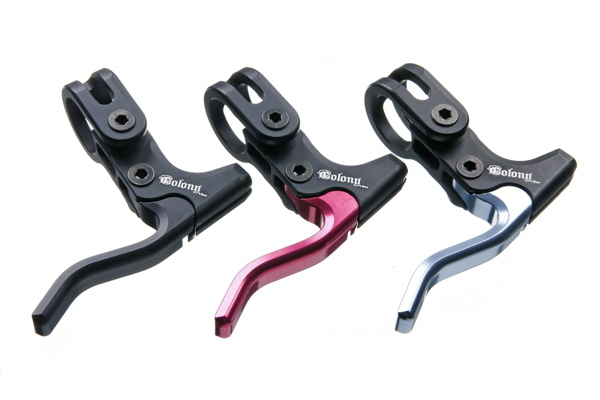 Transformer Trigger version in Black, Red & Pale Blue. We have been working on these for a while now & I thought it was time to release some teaser details to everyone out there. 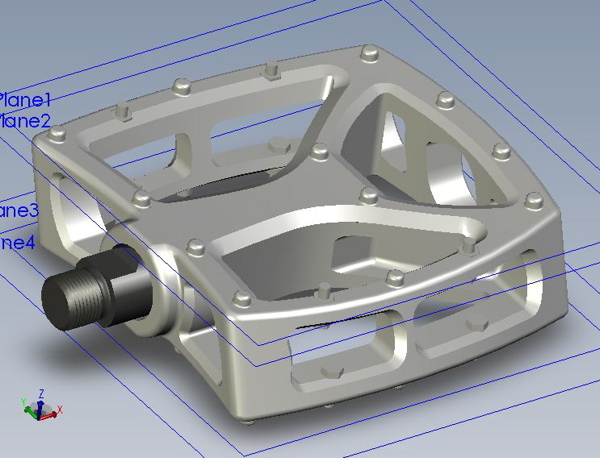 Our ‘Fantastic Plastic’ pedals will feature a very light weight & inexpensive design. They will also feature 8 steel fully replaceable pins per pedal. You can choose to run these steel pins or not. Totally up to you. The computer images shown don’t show the logo or unique grip pattern that will be all over them. They will be available in a wide variety of colours. More details will be released soon including pics of the first samples. Expect these to be available August this year. 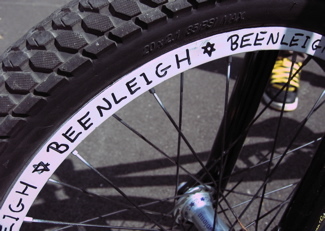 The infamous Beenleigh BMX park is getting it’s next wave of upgrades underway right now. A new larger box jump has been placed beside the existing one with a small hip off to one side. The dirt jumps are finally getting re-done as well with a bunch of new lines in the works.Should make for some fun sessions in the months to come. 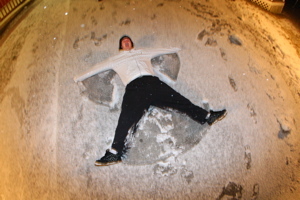 Stole this pic off Richo’s myspace. Nick Richardson doing what he does best. Alex Hiam our 12 year old prodigy from Brisbane, Australia has been killing it of late as always. 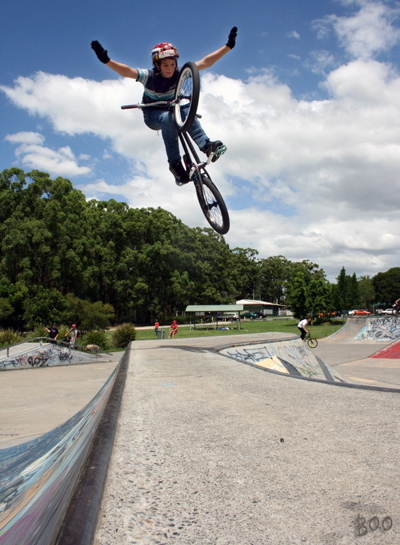 Here is a cool picture that Angela Dobbie (thanks Ang) took of Alex doing a no hand 180 over the spine at Kuraby in Brisbane’s southside on the weekend. Alex has been getting strong support from Crossley Cycles in Manly, Brisbane now for a few years & we have been supporting them by flowing them all the Colony parts Alex can handle. 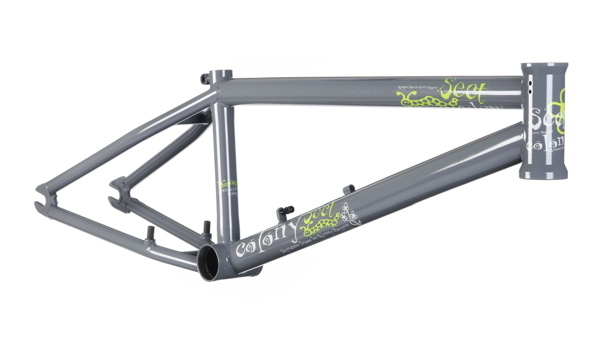 Namely, a very special custom Bloody Oath frame with a 19.8″ top tube & 13.5″ rear end. This will be available as a ‘kids size’ frame after July this year. 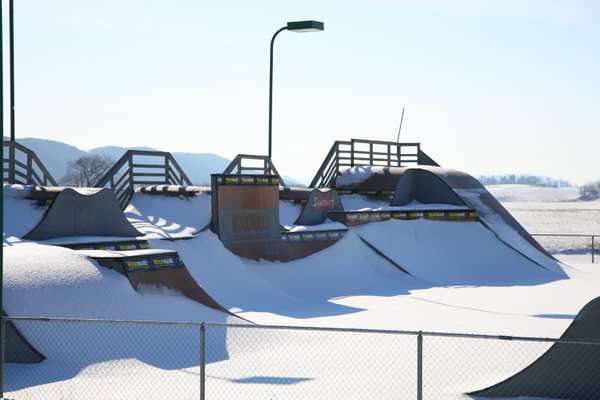 Ryan sent me some cool pics from a recent trip he did to Woodward East. It was his second ever time to see snow which sounds like it was a bunch of fun. 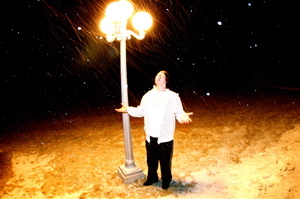 In Ryan’s words… To my pleasant surprise it was snowing most the time we were there, which made it the 2nd time ive seen snow so I was happy but freezing. 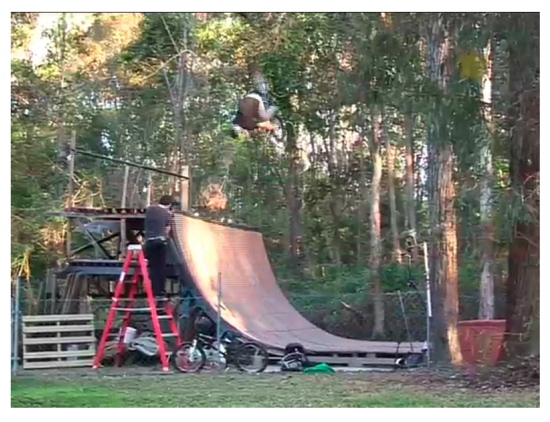 To see Jamie Bestwick and Chad Kagy ride their home ramp is soooo freakin crazy. I see them at comps but this was different, they’re too good. They made me leaving wanting to ride ramps so much higher. Most mornings we would wake up in Buds Barn and start the day off trying to get warm with some basket ball (so fun). Then just ride all day as there’s not to much to do at camp when its snowing but ride ALOT. Dave has a new interview over on the UGP site. Check it out HERE.